Are you interested in the histories of your house, local residents, our school, our church, our shops, our public houses, our habitat, transport in our area, our sports and other clubs? If so, why not join our Society? We cover the whole of Lodsworth parish from Lickfold to part of Selham. Whatever your interest, there is a place for you. You may wish just to participate in our events. You may wish to join in our research. The annual subscription is just £5 per household. For this all members of your household can attend most Society functions free, whereas non-members have to pay £5 each per event. A real bargain! To join, just download the Membership Form and send it with your subscription to our Membership Secretary. The stories of our war memorial and of the casualties commemorated on it can be found in the Book of Remembrance in St Peter's church and on Midhurst U3A's Rother Valley War Memorials website. 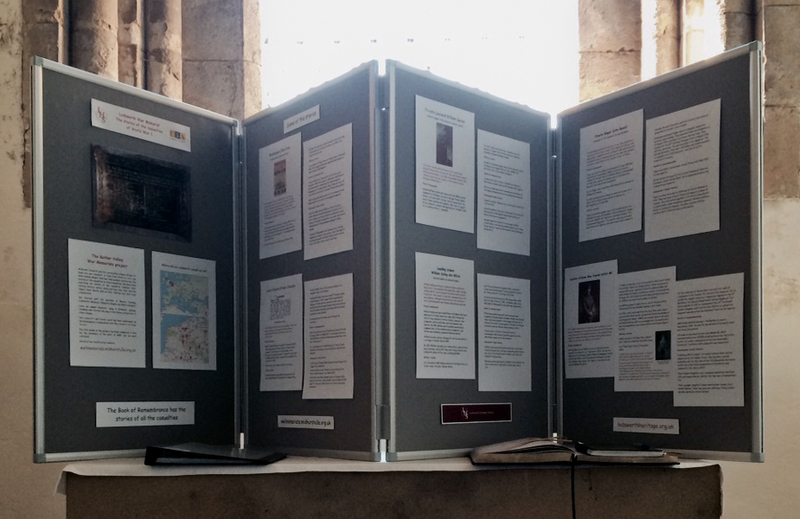 Some of the stories were featured in a display in St Peter's church for They did not grow old in November 2018.